‘Open Bridges: A River Full Of Stories’, gathering stories to preserve the heritage of the River Hull, its bridges and the people and vessels which have used it over the years. 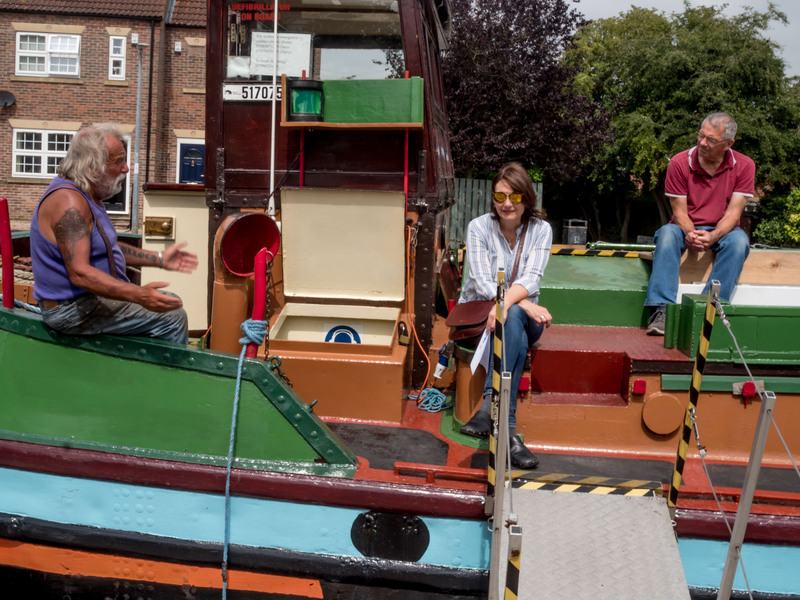 We started collecting stories at our first memory sharing session on board the MV Syntan, the beautifully restored Sheffield size barge moored in Beverley. Built in 1949 for Richard Hodgson Tanners in Beverley she was originally part of a fleet of 16 barges based on Beverley Beck used to carry coal and hides into the Tannery and general cargoes to South and West Yorkshire. Thanks to Beverley Barge Preservation Society Chairperson Iain Cambell, Deputy Chairperson Sarah Baines, Engineer Dave Tulloch, members John Medland, John Whittles and Allan Lister and Open Bridges team, Andy Richardson and Phillip Codd. Open Bridges made history when for the first time all 13 of the bridges over the River Hull in the UK’s City of Culture 2017 raised, swung or closed simultaneously splitting the city of Hull in two at 20:17 hours on 22nd September 2017. Historic vessels sailed down the river, met by 21st century tugs, to the sound of a new musique concrète work by composer John Stead. Open Bridges is an independent Hull/East Yorkshire based project.